Corals build their skeletons by incrementally adding layers of calcium carbonate. If the thickness of added calcium carbonate is known, then it is possible to obtain a relative measure of the rate of calcification. Many studies have used the fluorescent dye Alizarin, which binds effectively to proteinaceous elements of the coral skeleton. 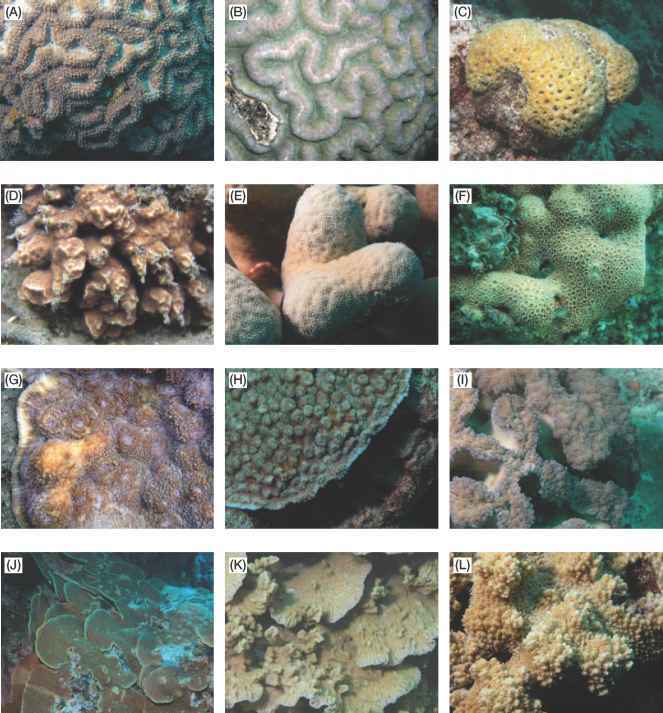 To undertake measurements with marker dyes, corals are incubated in non-toxic levels of the dye for several hours before being placed back in the field. Following exposure to the dye, which essentially marks the beginning of the period over which skeletal growth will be measured, corals are allowed to grow under field conditions before being harvested several months to years later. Back at the laboratory, the corals are killed and their skeletons cut into thin sections to show the annual banding patterns (exposed using X-ray photography). By measuring the distance between the skeletal surface (the site of the latest deposition of skeleton) and the fluorescent band (representing the beginning point), the linear extension of skeleton can be calculated as a function of time. While this method is easy to use in the field, it can only be used as a relative measure as growth varies across the colony surface, and hence is not a reliable measure of the volume of skeletal material that has been formed during the experimental period.